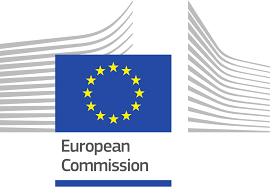 The European Commission has launched the calls for proposals for programmes to promote European agricultural products throughout the world and within the EU. Each year two calls for proposals are published for SIMPLE and MULTI programmes. Beneficiaries can receive up to 80% EU funding for their promotion campaigns in the internal market or in third countries. €89 million will be allocated to campaigns in high growth countries such as Canada, China, Colombia, Japan, Korea, Mexico, and the United States. Some of the money will be earmarked to the promotion of specific products, like table olives. Within the EU itself, the focus is on campaigns that promote the different EU quality schemes and labels, including protected designation of origins (PDOs), protected geographical indications (PGIs) and traditional specialty guaranteed (TSGs), as well as organic products. In addition, a share of the funding is targeted at certain specific sectors: sustainably produced rice, table olives, beef and veal, and fresh fruit and vegetables. The latter was specifically selected to promote healthy eating amongst EU consumers. A wide range of organisations, such as trade organisations, producer organisations and agri-food bodies responsible for promotion activities are eligible to apply for funding through the call for proposals launched today. So-called ‘simple' programmes can be submitted by one or more organisations from the same EU country. ‘Multi' programmes can be submitted by at least two national organisations from at least two member states, or by one or more European organisations. The ensuing campaigns usually roll over three years. CHAFEA, the EU's Consumer, Health, Agriculture and Food Executive Agency, provides a number of tools to help applicants to successfully submit their proposals. More information will be available during a series of 'info days' that will take part across the EU. The European info day will be held in Brussels on 7 February, open to all potential beneficiaries, advertising agencies, and national authorities. Please find more details on the calls here.